I'm going to start reloading. I've been reading about it for a few years, the last few months, it's about all I've been doing. It's not easy to find info on pistol caliber rifle/carbine loads. I figure this might be the best place. I bought some 2400 powder for these loads. You guys seem to really like "lil gun" so I will try that also. What powder are you guys using for 38sp loads from your handguns ? I bought a pound of Unique and some 158 grain hard cast bullets. I have a lot of once fired brass. Also, do you have a powder that you use for both handgun and rifle loads ? This is just for plinking, now that I've retired and have a few buddies to shoot with, I'm shooting more. I thought it would be fun to hand load and see what I can come up with. Both Unique and A2400 are excellent to get started on .38 spl and .357 mag. 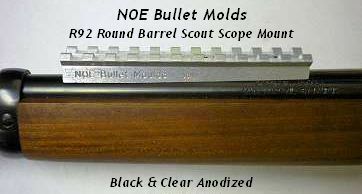 It's just my opinion, but I'd suggest at least 3-4 (small batch) loading/testing/shooting sessions of .357 mag and A2400 loads and the same with .38 spl and Unique loads. Staying well within published load weights and working with various charge weights for the individual batches is definitely a means to get both experience and confidence. Tinkering with the abundant numbers of other powders can wait for a while as the confidence increases and the feeling of satisfaction gets fed. My late mentor did a good job of convincing me that Unique and A2400 would handle most every handgun type round I'd have - maybe not the absolute best at any caliber, but at least adequate in almost all. A2400 for the "magnums" and Unique for all the rest. Again, just my opinion, the best two powder choices to begin with. Thank you Sir, I'm hoping to get some good loads asap so I can stock up. Living in California and having a new gun hating governor sux. They already make it hard to buy ammo, in 6 months it will be worse. I load for both the 357 and the 45 Colt for both the Rossi '92s and the two Black Hawks and I tend to shoot close to the same loads in both although I tend to back off a little on the revolver loads vs the rifles. Arthritis in the hand and wrist will only stand for so much pounding. For hunting H110, LilGun and 296 with heavy bullets. For fun lighter bullets and either True Blue or Trail Boss. Follow one or two good manuals and have fun. There isn't much data specific to pistol calibers in carbines. The way I see it, the revolver is the weaker of the two, so that's what should drive the load. You can count on higher velocities from your carbine, in most cases. The "Ballistics by the Inch" website is a good reference. Thank you for the advice, my head has been spinning from all this reading. The press kit, dies, powders, primers and other stuff arrives tomorrow from Brownells. I'm lucky to have a little reloading shop about 10 miles away. HarryAlonzo wrote: There isn't much data specific to pistol calibers in carbines. The way I see it, the revolver is the weaker of the two, so that's what should drive the load. You can count on higher velocities from your carbine, in most cases. The "Ballistics by the Inch" website is a good reference. Ballistics by the inch, I was told about this site, I couldn't recall the name. Thank you. FWIW, I have a 24" R92 and the 20" short rifle. I also have a Marlin 1894c. I've always read that these two calibers peak from the 16" barrel. This stuff is very interesting to me. golfish, welcome to the fascinating, rewarding, and educational world of reloading. I've been reloading since I was in my early teens, well more than 50 years ago. I hope you find and enjoy a wealth of benefits from the hobby. My older brother repeats the mantra, "Reload to shoot; Shoot to reload." You've gotten good sound suggestions from these other posters. If you aren't following RD's Lee Loader forum, I'd suggest you jump in over there, too. Sorry, I can't remember if you post there. Many, if not most of us here also read and post over there. A couple of hints I can give, which I think are rather standard. Only have one can of powder on your bench at a time. And, take it easy; think things through each and every session. Even if you have not changed anything in your setup since the last session, think it all through before you start in. Reloading is incredibly rewarding. It's safe and easy if you keep your wits about you. Good luck and keep us filled in. A couple of hints I can give, which I think are rather standard. Only have one can of powder on your bench at a time. And, take it easy; think things through each and every session. . Thank you for the tips. It's funny that you mention the powder. I think back to all of the videos that I've watched, I can't think of one that had more than one can of powder on the bench. That's a good tip. Before you go hog wild loading ammo, be sure to check the length of your cartridges. Load a few and make sure they will function in your gun. My 92 is very particular when it comes to Cartridge OverAll Length (COAL). golfish, no worries on using an RCBS press. My bench has two "green presses" set up on it, both a Reloader Special from 1972 and a Partner from the 90s. I prime with a basic C style Lee press. Nearly all the dozens of dies I use are Lee, however.